As part of Gothenburg Design Week we invite you to join us for the Gothenburg launch of Urban Pamphleteer #7. 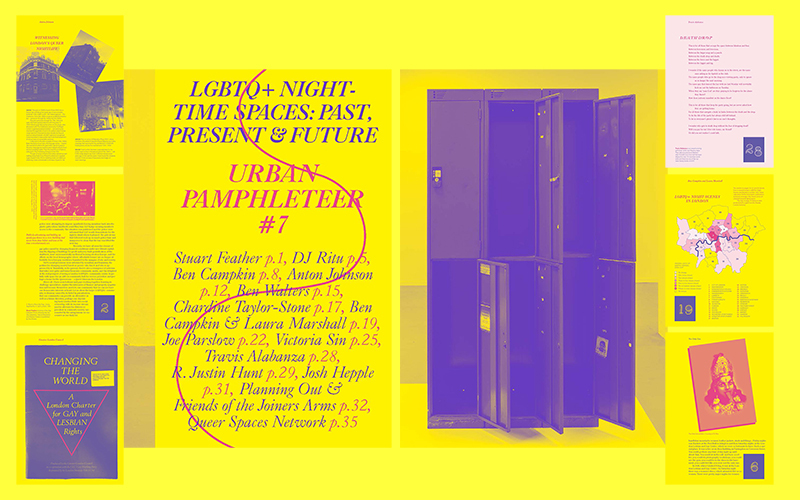 The issue gathers perspectives, provocations and vignettes on London’s LGBTQ+ night-time spaces, past, present and future, with a focus on the different tactics being used to queer night-space. The issue can be read in full on our website. The launch follows a panel event on queer space and heritage activism featuring Prof Ben Campkin and Laura Marshall, two of the co-editors of the issue. The event is supported by the Curating the City cluster of the University of Gothenburg Centre for Critical Heritage Studies. Urban Pamphleteer #7 has been produced in partnership with Museum of London for City Now City Future, a season of ideas, debate and inspiration.